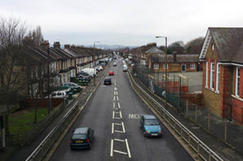 Highways Magazine - How do you solve a problem like local roads? How do you solve a problem like local roads? Experts from across the sector have discussed with Highways how to help solve the local roads funding crisis after a string of top tier authorities were pushed to financial breaking point. The news comes after the Transport Select Committee launched a new inquiry into the funding and governance of local roads in England. The deadline for submissions is 2 October 2018. The Committee calls for written evidence on a range of issues including local road condition and monitoring, funding requirements, the wider economic costs of not maintaining roads, alternative models and regional distribution of funding across England. The Chartered Institution of Highways and Transportation, under new president Matthew Lugg, also plans to launch the Lugg Review to look at highways reforms. On top of this a full Comprehensive Spending Review is scheduled for next year. Highways understands that the Department for Transport is already preparing its business case. On issue that gets raised time and time again by a number of sources and has been highlighted by exclusive Highways survey (July 2017) is the sheer number of highways authorities. Many in the sector feels savings could be made by rationalising the 153 highway authorities in England; however there seems to be little political appetite for this. George Lee, chief executive of the Highways Term Maintenance Association - which represents the service providers looking after more than 80% of the UK highways network – said the emerging situation put a greater emphasis on further developing collaborative approaches between clients and also between clients an contractors. ‘In my mind there is little doubt that the growth in best practice alliances between authorities and collaborative approaches covering clients and contractors, has driven significant efficiencies, innovation and improvements in highways maintenance, in the face of challenging budget conditions. 'The advent of Sub-national Transport Bodies (STBs) will help generate a more strategic approach to regional highways management and maintenance priorities, however, some thought is going to have to be given on a hierarchy of need (for maintenance) across regions and what this would mean for longer term maintenance contracts already that are already in place. President of the Local Government Technical Advisers Group (TAG), John Lamb, said: 'Everyone has looked at what is the statutory minimum. If a council says they are cutting to core services or issuing a 114 notice then that is not just an issue for the Ministry of Housing, Communities and Local Government; we also need the Department for Transport, Department for Business, Energy and Industrial Strategy and Public Health involved and look at the whole envelope. ‘If we accept the code of practice has a fundamental role to play in protecting the public purse and it is important to not slash public spending in highways that would run counter to policy, DfT has to look at some form of special measures for highways, just as adult and social care have. ‘This would be when a highway engineer is given corporate requirements that are in contradiction to good asset management and where the new requirements have safety critical impacts and can lead to catastrophic failures. This is about protecting the highways in terms of safety and their vital role as part of the lifeblood of the economy.